We invite you to read the following summary about the weeklong Festival. 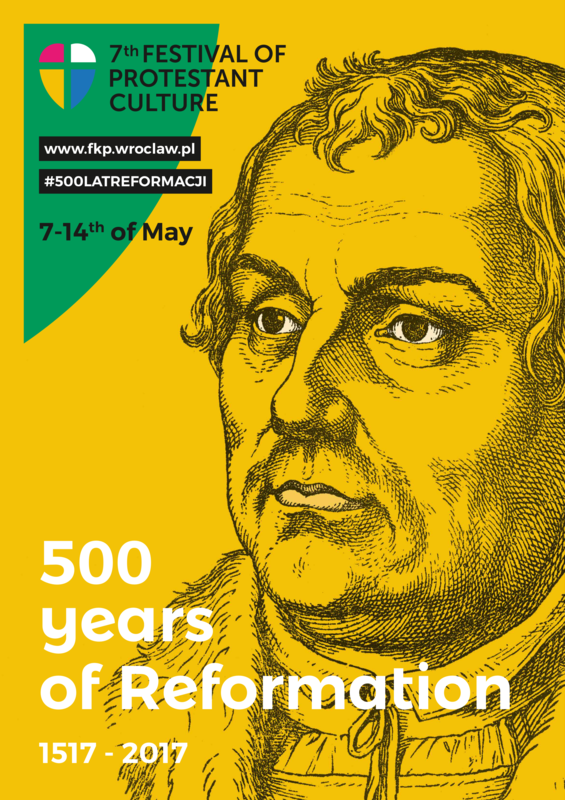 The seventh edition of FPC was dedicated entirely to the 2017 Jubilee of 500 years of the Protestant Reformation. The organizers – Evangelical School of Theology , Lutheran Parish of Divine Providence, Diocese of Wroclaw Lutheran Church , Christian Community Church and many other churches, institutions, and organizations were involved in preparing and organizing the diverse program that included numerous events (concerts, conferences, lectures, multimedia presentations, and more). 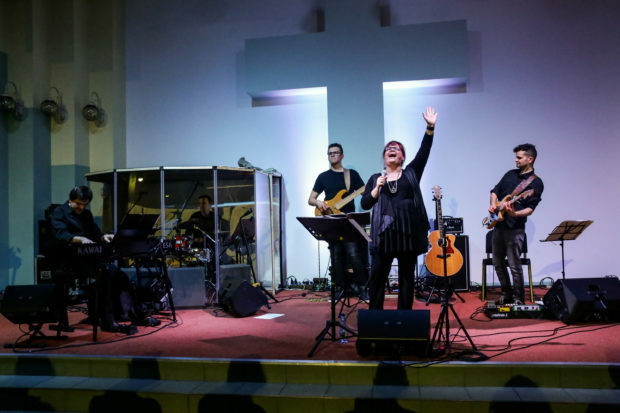 The festival began on May 7 with the concert of Polish Christian music star – Beata Bednarz , which took place in the Christian Fellowship Church in Wroclaw. Several hundred people worshipped and prayed together and listened to good Christian music. For the next two days the festival events were hosted at EST. On May 8, viewers could watch a great comedy “Time for Love” and later talk to the performers, actors Marzanną Graff and Alexander Mikołajczak. The selection of art proved to be extremely popular, and its playful characters to the liking of all the guests. Many people stressed that the play was not merely entertainment, but it also evoked reflections on their own relationships or maybe even the incentive to change. Włodzimierz Wołyniec, Rector of the Pontifical Faculty of Theology in Wroclaw, Professor Wojciech Szczerba, Rector of the Evangelical School of Theology, and Professor Robert Wiszniowski, Dean of the Faculty of Social Sciences of the University of Wroclaw,. 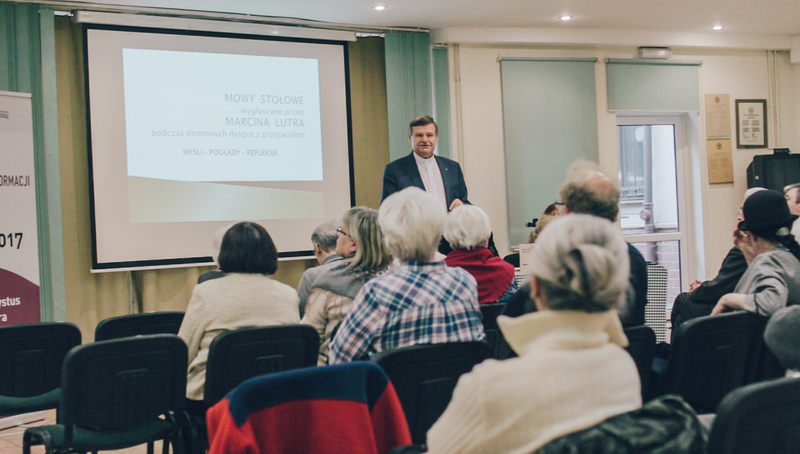 After the conference, participants were invited to a presentation of the Polish edition of the biography of Martin Luther by Professor Heinz Schilling: „Martin Luther – Rebel in Times of Change”. The meeting was held in Barbara Infopunkt Café. On Wednesday, May 10, the participants heard a lecture that presented a completely different perspective than the official face of the Father of the Reformation. The lecture was held in the Lutheran Church and presented through „Table Sayings” – free, spontaneous expressions of Martin Luther, which were drafted by Johan Aurifaber and in Poland are published under the title „Table Talks uttered by Marcin Luther during domestic disputes with friends„. During the meeting, there was no shortage of interesting anecdotes and stories about the life of Luther and his colorful language. On Thursday morning, May 11, people were eager to go on the tour that focused on the footsteps of four theologians from Wroclaw – Dietrich Bonhoeffer, Benno Jacob, Edith Stein and Katharina Staritz. They had all taken a bold stance in the fight against Nazism and anti-Semitism. The afternoon events on May 11 centered around and inside the Church of Mary Magdalena. 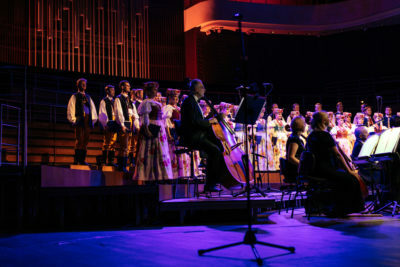 Openings of two exhibitions dedicated to the Reformation (“Here I stand – Marcin Luther, the Reformation and its aftermath” and „Faithful on the way, forest preachers, children in prayer”) and the music of great composers in a beautiful performance by the choir of the National Forum of Music under the direction of Agnieszka Franków-Żelazny. All of these events proved to be a feast for the eyes, ears, minds and hearts. The main event was hosted by the Consulate General of Germany. 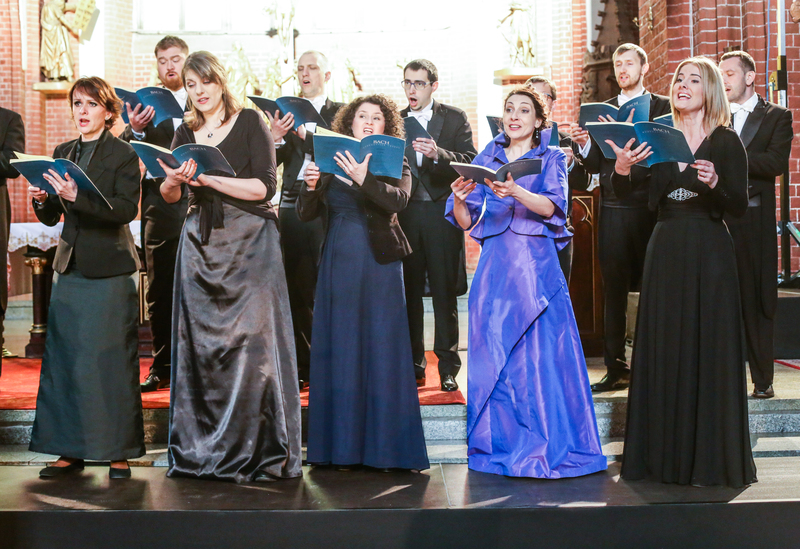 The concert was attended by more than 750 people who filled the interior of the Church of Maria Magdalena. On Friday, May 12, the Evangelical School of Theology held another conference, the 2nd Student-Doctoral Scientific Theological Conference with a slightly unique title „Is there a new Luther in the Room?“. 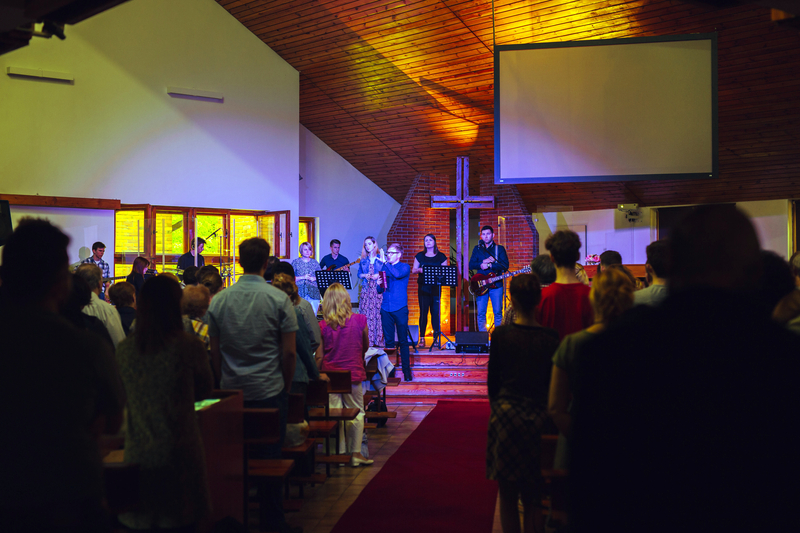 The student governments of two universities were involved in organizing the conference – Evangelical School of Theology (Wroclaw) and Christian Academy of Theology (Warsaw) EWST. The conference offered three parallel panels of lectures. 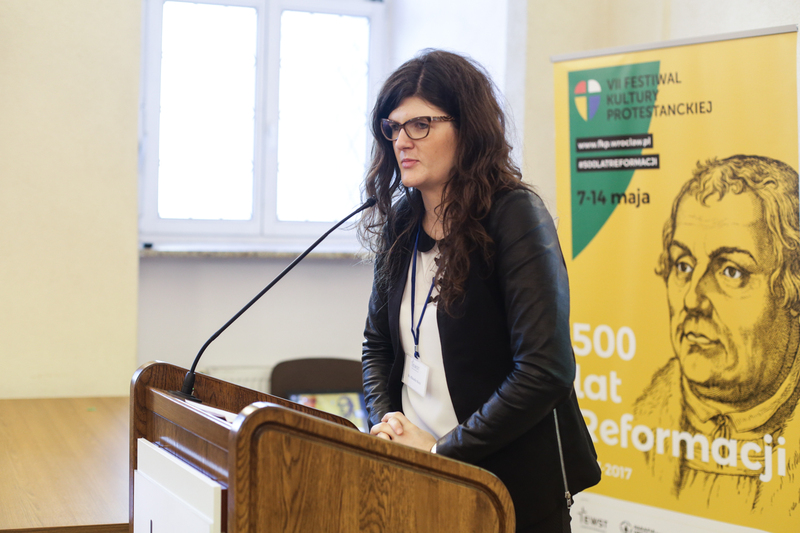 In the afternoon, in the Tower of Mathematics at the University of Wroclaw there was the opening of the exhibition „Verbum Domini Manet in Aeternum (the word of God abideth for ever)”. The exhibition showed Protestant church construction of the modern era in Europe. Also, it showed how the elements of Protestant theology and liturgy, as well as factors such as politics and the social situation of believers themselves influenced the creation and arrangement of buildings in different parts of Europe. On Friday evening, there were equally interesting artistic events – this time taking place in the Lutheran Church in Wroclaw. 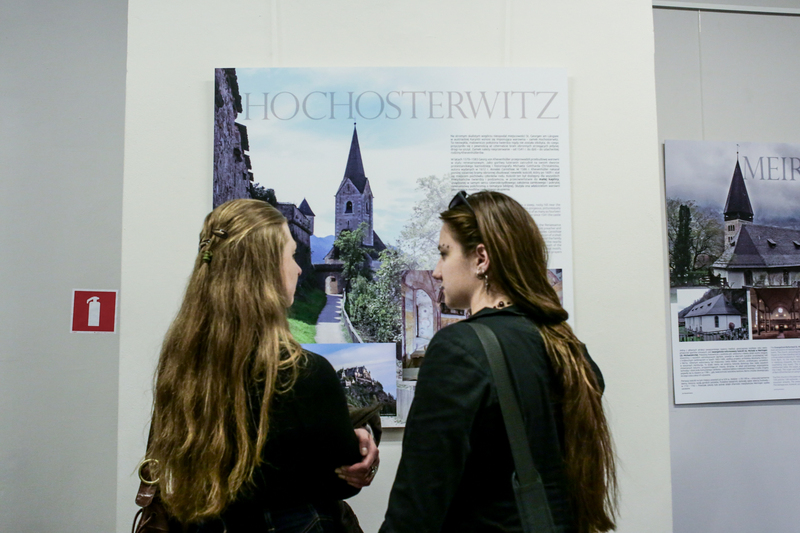 Students from high schools in Görlitz, Niesky, and Boxberg Germany staged a play „Luther was never in Silesia”, which gave a closer view of heroes and events of the period of the Reformation. 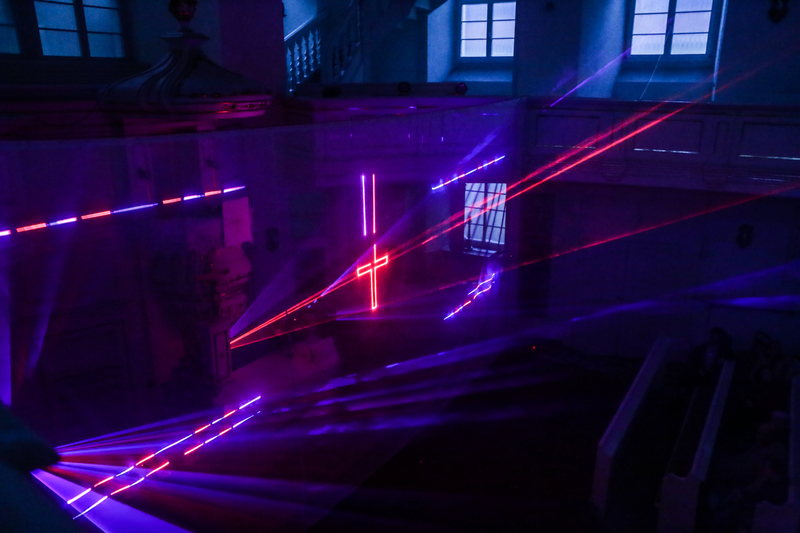 Then, the church held a fascinating multimedia laser show, dedicated to the 500 years of the Reformation Jubilee. 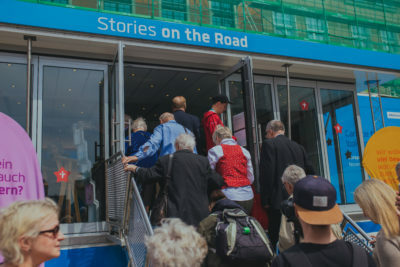 On Saturday morning, May 13, the organizers officially opened MOBIL Reformation – a special bus, which for several months has been visiting European cities. MOBIL parked in Wroclaw Market Square as early as Friday afternoon for 36 hours and was available to all who wanted to get to know the history and current information about the Reformation. 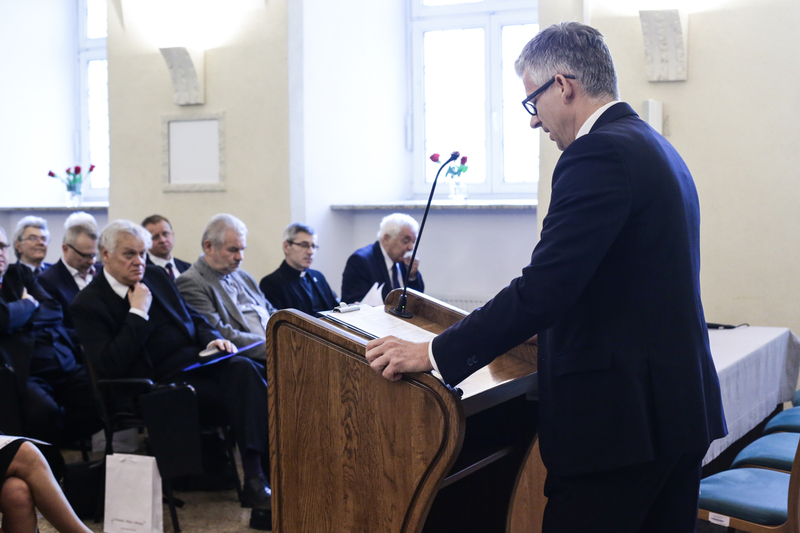 The opening was attended by representatives of government, parliament, churches and institutions of Wroclaw. For a day and a half the MOBIL was visited by over a thousand people. In the afternoon of May 13, as part of the jubilee celebrations of 500 years of Reformation, there was a discussion about social issues. The discussion panel „Civil Society 1517-2017: Europe, Poland, Wroclaw „, was organized by Evangelical School of Theology and the Wroclaw Office of European Parliament. 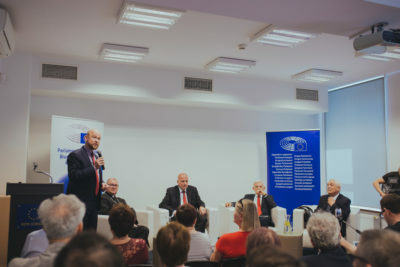 The panel was comprised of Professor Jerzy Buzek, Member of European Parliament, Bishop Waldemar Pytel of the Lutheran Church, and President Rafał Dutkiewicz, Mayor of Wroclaw. The moderator of the panel was Professor Adam Jezierski, Rector of the University of Wroclaw. The panel was faced with difficult and multifaceted questions about the state of civil society, both in Europe and in Poland. Attendance at the debate exceeded the organizers’ expectations. Also, there were many questions from the audience. On Saturday evening the Festival participants were invited to the National Music Forum, where the Jubilee 500 years of Reformation presented a concert „Solus Christus” by the Song and Dance Ensemble Silesia. Also, the performance consisted of works of great composers (W.A. Mozart, J.S. Bach, G. Bizet and G.F. Händel), Polish Lutheran folk songs and hymns to the words of Martin Luther, “A Mighty Fortress is Our God”. Before the concert there was an official welcome by the Rafał Dutkiewicz, Mayor of Wroclaw and Bishop Waldemar Pytel, superior of the Wrocław Diocese of the Lutheran Church. Also, a greeting was given from the “heart of Europe” in Brussels by Professor Jerzy Buzek, Member of European Parliament. First Baptist Church in Wroclaw hosted a worship concert, „The Lord is My Shepherd” which included lively music as well as a prayerful mood from both the worship team and the many participants who attended the concert. Saturday’s celebrations culminated in a unique multimedia presentation fountain show at Centennial Hall, prepared especially for the Jubilee. May 14, the last day of the festival, was primarily a solemn service in Wroclaw Jubilee in the Church of Mary Magdalene, where in 1523 Fr. Johann Hess gave the first Protestant sermon in Wroclaw. The service was attended by Protestant hierarchs and clergy, Roman Catholic bishops, priests and representatives of other Christian denominations and religions, representatives of government, diplomacy, science and culture. 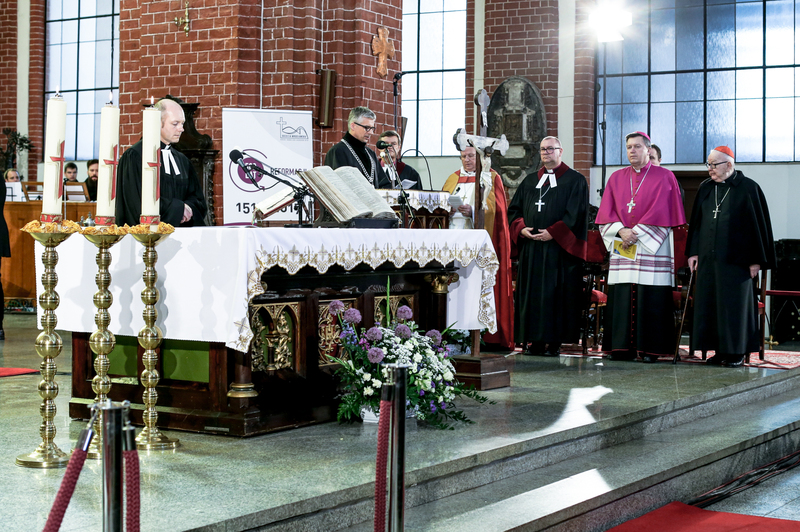 The welcome address and introduction were delivered by Bishop Waldemar Pytel, superior of the Wrocław Diocese of the Lutheran Church of the Augsburg Confession in Poland, and the sermon was given by Bishop Ragnar Persenius of Uppsala, Sweden. Greetings were also given by Archbishop Józef Kupny of the Catholic Church in Wroclaw. 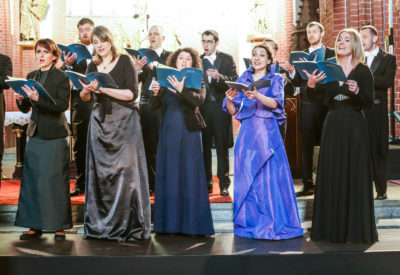 The whole service was reported by the media to the public, and its retransmission took place the same day in the evening. After the service there was an unveiling ceremony of the restored plaque that was originally embedded in the wall of the church in 1917 to celebrate 400 years of the Reformation. The plaque was almost destroyed immediately after World War II but has now been restored so that the public can see the Reformer Fr. 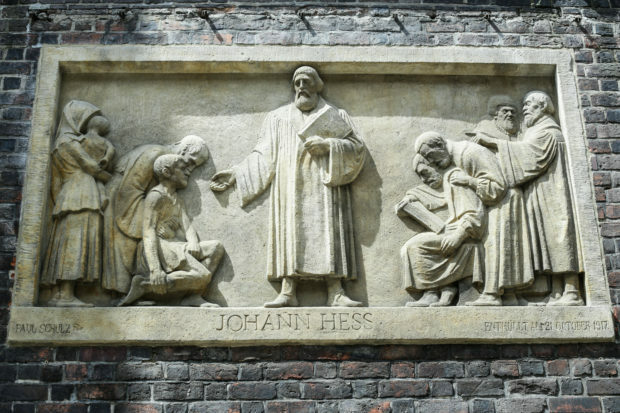 Johann Hess. Thanks to the restoration, the reformers on the plaque regained their faces, dignity and rightful place in our memory. At the end of the festival there was a concert by Christian musician Grzegorz Kloc, who performed in the “Word of Life” Church in Wroclaw. During the entire week of the festival, various events were accompanied by information in the media. Events were announced by press agencies and the organizers had the opportunity to talk about the FPC events on the radio and television. It was very important to cooperate with media partners, which not only resulted in articles in the press or on the Internet , but also direct broadcasts of the events. People were invited to concerts, church services, performances and events via websites with information about events and the organizers themselves. Many people learned about the FPC and its various points on the newly created Facebook page. More than 30,000 people saw the posts during the Festival and over 7,000 liked or shared them. We thank all the honorary patrons, organizers, co-organizers, partners and media partners for their contribution to the organization of such a big project. Above all, we want to thank the participants – your presence, activity and expressed satisfaction on the individual events are for us a tremendous reward and motivation for the future.